Vice President Mike Pence has always encouraged his three children to make his Christian faith their own. But in order to do that, at least one of his daughters had teetered on the brink of atheism. 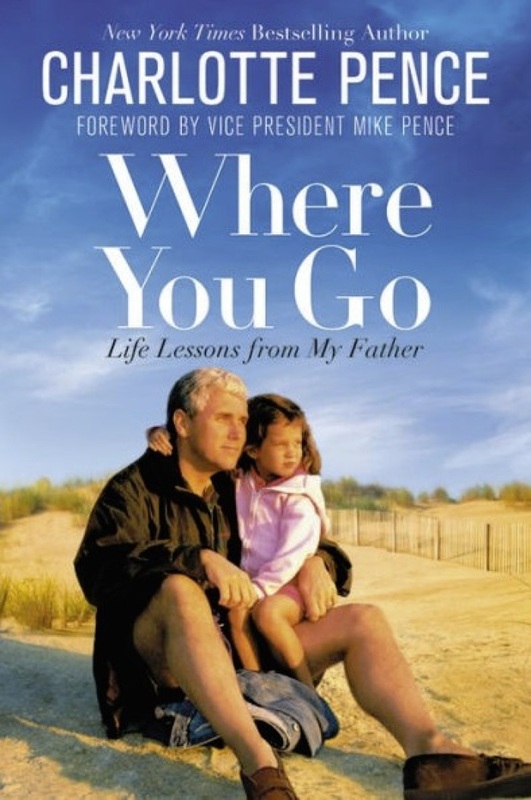 Pence's 25-year-old daughter, Charlotte, released her new book, Where You Go: Life Lessons From My Father, on Tuesday. While the book focuses on the advice and words of wisdom that her father has offered her and her siblings throughout their upbringing, it also touches on the personal struggles of faith that the middle child faced as she spent a year studying abroad in England at the age of 21. It is no secret that Pence and his wife, Karen, are devout evangelical Christians who are living out their faith in the public limelight that comes with the title of "Second Family" of the United States. 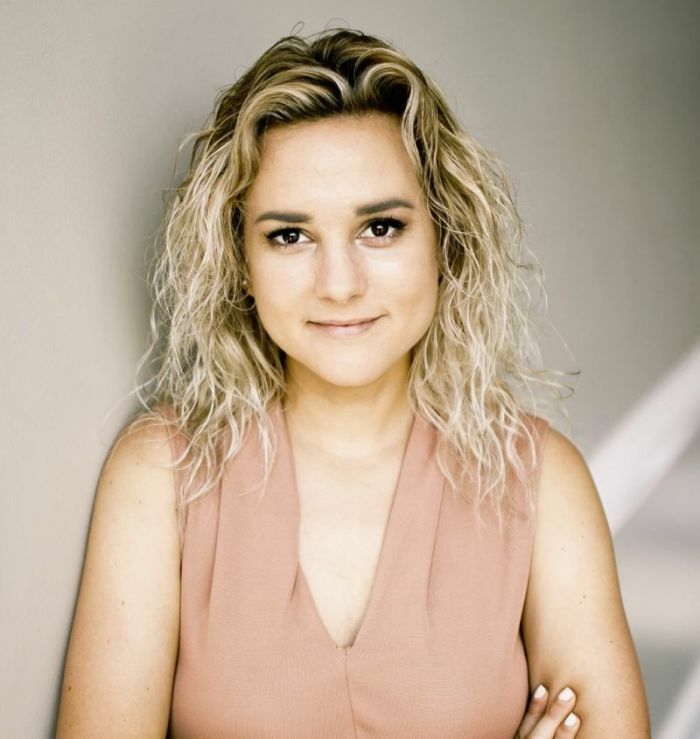 However, Charlotte Pence told The Christian Post in an interview Wednesday that despite being raised in a church-going home with very spiritual parents, she still needed to discover the truth about religion for herself. In her interview with CP, Pence explained that her family would attend church on a weekly basis when she was growing up. At times in which her parents were looking for a new church, she said that her dad would sometimes hold his own church service right in their house. When the time came for her to go off to college, she said that her father would frequently remind her of three things she needed daily for a successful life: devotion, studies and exercise. Having gone to DePaul University in Chicago for undergraduate studies, Pence spent her junior year studying at the University of Oxford in England in 2015. Her experience at Oxford is one in which she has blogged about but also one that caused her to seriously question the religious beliefs and traditions in which she was brought up. While at Oxford, Pence admits that she "turned away from God" and had "not wanted anything to do with religion." But at the same time, she felt like God was coming after her. "I was interested in atheism for a while," she told CP. "I wasn't as interested in Christianity. As I say in the book, that left me with more questions than answers." In a chapter titled "Let Your Faith be a Uniting Force," Pence recalled that she was "floating" on her own without God and thought she was fine during her time at Oxford. "I had become interested in atheism and spent much of the year reading from thought leaders in this area," she wrote in the book. "I was interested in other types of ideas, ones I had not been raised in. I stopped going to church and reading my Bible." Pence added that she even avoided seeing "religious friends" and "wanted to do life without God." "I believed I didn't need him but as the year went on, I felt increasingly hopeless," Pence wrote. "I think I still believed in God, but I wanted to try living without the burden of religious ideas. I thought my questions would go away or be answered. I thought maybe I would no longer care and I would be able to live in an agnostic way. Maybe a part of me even wished I could, but atheism didn't answer any questions I had." Pence said that she wasn't afraid to talk to her parents about her struggles during this time of uncertainty in her life. "They were definitely very understanding," she said. "I know that they have always shown me just what an example of unconditional love really looks like. They were always willing and open to talk about any questions I had about their faith. They were definitely present in my life at that time. Ultimately, my faith had to just become my own and once it did, there was really no going back for me." In her quest for truth, Pence said that certain writers and theologians such as C.S. Lewis and Alister McGrath made an impact when it came to guiding her back toward Christian beliefs. "[McGrath] is a theologian but also used to be an atheist so that was interesting to me," she detailed. But probably the most impactful experience for Pence's spirituality came when she met up with her family in Israel for Christmas break when she was studying at Oxford. "I believe it was my time spent in Israel where I truly became a Christian, where my faith was solidified for me," Pence wrote. "I had always had faith, but it became my own there and I have never really turned back since coming into this realization." In Israel, many of the people no matter their religion "acknowledge the truth of the history of the Bible," she noted. "They recognize the events took place," she said. "They just don't necessarily agree on all the details." "I felt a serious camaraderie and connection with these people," she added. "It was as if we were all on the same journey, and we had converged on one path for a particular point in time. I walked down that path and listened to their stories and experiences. We discussed the importance of faith in each of our lives and found commonality in our shared traditions." 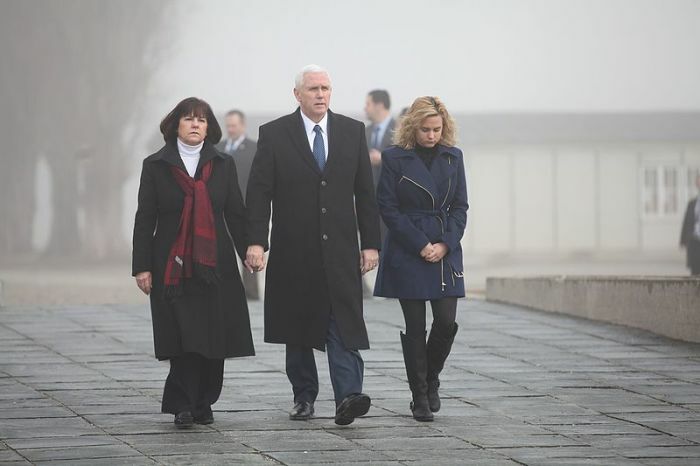 Pence recalled something that her tour guide "Roni" told her when speaking about the differing beliefs between the Jews and Christians when it comes to the return of the Messiah. "He said, 'It is believed that [the Mount of Olives] is where the Messiah will come back. When he comes, we will ask him, 'Have you been here before?' If he says, 'yes,' we'll know the Christians were right. If he says, 'no,' we'll know the Jews were right. And that will be that.'" Pence wrote that while on her way back to England after the holiday trip, she felt herself returning to God and asking for God to take her back. "I was on a plane, listening to a religious song, and I began to cry," Pence explained. "In that moment, I came home to my Savior, to my friend, I understood. I needed Him and He took me back with open arms. This incredible feeling of acceptance and renewal is one I can not put into words, I cannot recreate, I cannot justify. It just is. It is a free gift, and one I cannot live without. And I have never been more sure of anything." Pence is currently pursuing a masters in theological studies at Harvard University in Boston with a focus on religion in literature and culture. "I have always wanted to be a writer. I want to be a storyteller. I want to connect people. I also want to help facilitate conversations about religion and faith," Pence told CP. "I am not sure exactly what it is going to look like but often in our millennial generation, topics of faith are not necessarily talked about as much. I would love to start that conversation because I think a lot of people are very curious about religion and faith even though it's not talked about." Earlier this year, Pence released the children's picture book Marlon Bundo's A Day in the Life of the Vice President. She also worked on film productions while in college. A documentary, called "Fleeced: Speaking Out Against Senior Financial Abuse," that Pence co-wrote and was the associate producer of won a 2014 Emmy award for the Lower Great Lakes region.